Throughout February, in communities across the country, millions of supporters have been coming together, wearing red, and reinforcing the critical message that we can overcome heart disease and stroke. As we come to the close of American Heart Month 2015, I'm reminded of how much every second counts. Throughout February, in communities across the country, millions of supporters have been coming together, wearing red, and reinforcing the critical message that we can overcome heart disease and stroke. They've shared this message with an energy and passion that make it clear that time is of the essence. Although American Heart Month comes to a close Saturday night, I know the fight will continue in our race against the No. 1 and No. 5 causes of death in our nation. 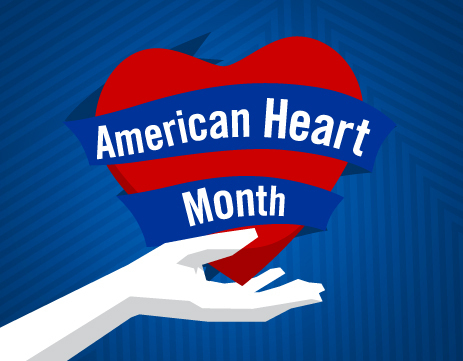 Just like a birthday or anniversary is really just a reminder to tap the brakes on our busy lives and pay extra attention to someone or something that matters to us each and every day, American Heart Month offers the same opportunity. It's our time to stop and thanks the legions of people who've taken it upon themselves to improve cardiovascular health. There are so many to thank: researchers who are striving to develop new treatments. Physicians and nurses who provide the highest level of care. Survivors who inspire us with their courage and give hope to others by sharing their personal story. Loved ones who play crucial roles as home caregivers. And the countless volunteers and advocates who are helping to raise awareness and educate others about prevention, risk factors and warning signs. We give thanks to all of them because they will continue to make a difference, regardless of the month or season. In February 2004, we launched our Go Red For Women movement to build awareness that heart disease is not just a "man's disease," but in fact kills more women than men each year in the U.S. and claims more women's lives than all forms of cancer combined. For this reason, over the past 11 years, American Heart Month also has been a time to focus on how far we've come and the challenges that remain in addressing women's leading health threat. Since Go Red For Women was launched, more than 1.9 million have gotten involved, and we're pleased that nine out of 10 go on to make meaningful, healthy lifestyle changes after joining, such as adopting a regular exercise routine or making healthy adjustments to their diets. Go Red For Women is a true community that encourages women to have open conversations about their experiences, their concerns and their goals for improving their cardiovascular health. We officially celebrate the anniversary of Go Red For Women on the first Friday of each February, National Wear Red Day, and more and more people have been taking part each year. 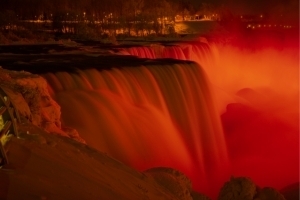 Among this year's highlights were more than 400 news anchors and TV personalities wearing red; more than 550 buildings and landmarks illuminated in red, including Niagara Falls, Graceland and Pikes Place Market; and countless events held in homes and workplaces. Something else that struck me during this month was the depth of our discussions about women's heart health. The more we discuss the issues, the more provocative our conversations become. Another telling detail was the diversity of our audiences. Beyond traditional measures like age and ethnicity, there was a wider breadth of how people came to us -- such as organizations and companies that are either new to our team, or who have become more committed. For instance, one luncheon I hosted featured leaders from three organizations that are newly involved. It was so moving to hear those women describe why they've become involved. Most events feature personal stories told by survivors, sometimes more than one. I'm always awed by the bravery of women who have suffered from the disease or lost someone close to them. Their willingness to show us their pain in hopes of lessening the suffering of others is the purest form of charity. The Woman's Day Red Dress Awards was a perfect example, with powerful speeches from actress-model Andie MacDowell and several other women. Andie spoke about her mother's death at age 53, explaining what it's like to endure such a loss and the disappointment of not being able to share her successful career with her mom. This 12th annual event was a beautiful night recognizing icons who are helping further the cause of women's heart health, such as FDA Commissioner Margaret Hamburg and CVS Health. 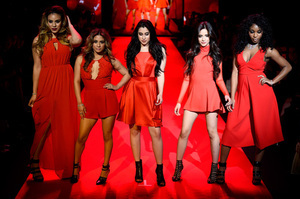 Red dresses were popular this month -- especially on the runway at the Red Dress Collection Fashion Show, an event that's kicked off Fashion Week in New York annually since 2003. Go Red For Women and the National Heart, Blood and Lung Institute's (NHLBI) awareness campaign, The Heart Truth, both use a red dress as an iconic symbol. We took the lead on this shortly before last year's event, and were excited to have a full year to plan this year's event along with Macy's and NHLBI. 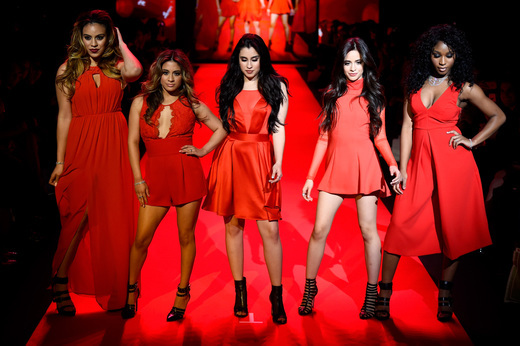 Rosie O'Donnell opened the event and Fifth Harmony closed it, with more than 20 celebrity models strutting the latest styles in between. This gathering of celebrities and fashion was enjoyed by everyone who was there or who watched online. While those two events are in their second decade, two more prominent celebrations have been going strong since the middle of the last century. Pioneering events such as these types, and the loyal volunteers behind them, have turned us into the organization we are today. On Valentine's Day 1956, several months after President Dwight D. Eisenhower suffered a heart attack, folks in Florida showed their appreciation for his lifesaving care by holding their first Palm Beach Heart Ball. We celebrated the 60th anniversary of this event on Feb. 13. This milestone occasion for our longest-standing Heart Ball was a wonderful tribute to the event's heritage, anchored by its legendary chairwomen. In Washington, D.C., we enjoyed an even longer-running event, the 67th Affair of the Heart Luncheon and Fashion Show, which is focused on raising money to research the mysteries of heart disease. I was honored to recognize seven researchers whose studies were funded by this group... and I enjoyed the fashion show, which showed off wide-leg pants for women and floral patterns for spring. As great as these events are, their primary objective is helping us continue funding lifesaving research into cardiovascular diseases and stroke. We've invested more than $3.7 billion, including more than $100 million annually since 1996, totals topped only by the federal government. The answers are out there, and we're determined to find them. So it's only fitting that we held three key scientific conferences this month. Our International Stroke Conference was the largest ever, bringing together more than 5,000 people from around the world. Observers described the presentations as the best they've seen in 20 years, offering hope for breakthroughs in stroke prevention and treatment. We are honored that these presentations were made at our event. We also hosted the International Consensus on CPR and ECC Science Conference (ILCOR), which is held every five years, and the Kawasaki Disease Symposium, which is held every three years. At ILCOR, leaders of resuscitation research came together to work toward the next guidelines for how CPR is to be administered; results will be published in October. The Kawasaki event brought together people around the world for the latest science developments in this rare disease, and how to reduce patient suffering. What made these two events so memorable was the presence of their pioneers: Guy Knickerbocker, one of the founders of CPR as a lifesaving technique, and Dr. Tomisaku Kawasaki, the namesake of the rare disease. This put quite an exclamation point on the theme building our promising future atop the shoulders of our proud past. These are just some of the incredible events that are so important because of the awareness they generate. Whether people attend or just read about them, the more we can engage, the better we can fight heart disease. Our reason for doing this is simple. As you may have seen in our new tagline, Life is Why.